S5 uses natural ingredients to make you GLOW – Art, Food, Travel and Fashion! 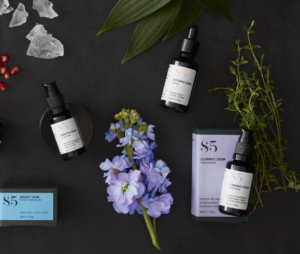 S5 is a range of advanced organic skincare intelligently designed to care for five specific skin concerns caused by modern living; redness/sensitivity, blemishes, pigmentation, premature ageing and dryness. The way we live now is not the way we evolved to live. Pollution, foreign chemicals, radiation, chronic stress, poor sleep and poor nutrition affect our minds, our bodies and also our skin, causing inflammation, premature ageing and skin problems. The creative team of highly experienced skin experts and cosmetic designers have formulated pioneering organic treatments with clinically proven natural bio-active ingredients sourced from the most extreme ecosystems on Earth. This personalised modular skincare system repairs, treats and heals with the range of highly effective solutions created at the cutting edge of scientific development. ← With #SurexReebok collaboration you will go the extra mile!